National law firm Bevan Brittan has appointed Judith Hopper as a litigation partner in its Leeds office. Judith joins from DLA Piper. Judith specialises in commercial litigation with a focus on PFI/ projects disputes, contentious construction and professional negligence. She also has extensive experience of commercial and contractual disputes, corporate disputes including breach of warranty and shareholder disputes, and breach of confidentiality claims. Notable cases Judith has worked on include advising Birmingham City Council in a dispute arising from a £2.6 billion PFI contract for the repair and maintenance of a road network, and advising Highways England in a dispute with Connect Plus over a £6 billion PFI contract for the management of the M25 motorway. Judith works nationally but has extensive knowledge of the marketplace in the North, having been based in Leeds for the last sixteen years. After qualifying at Walker Morris in the city, she then joined Irwin Mitchell followed by DLA Piper, where she worked for ten years and was a director. 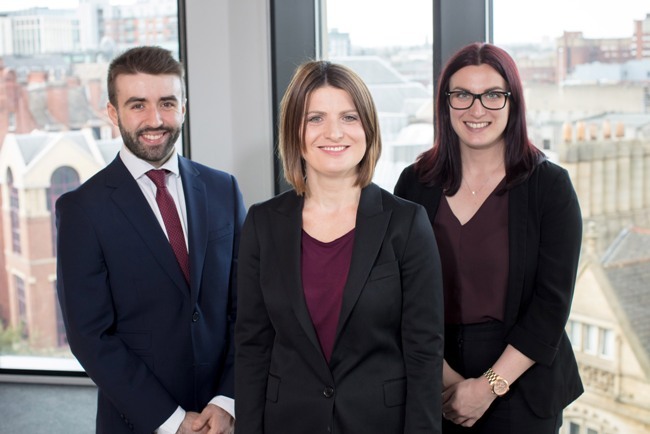 Bevan Brittan has also taken on two new trainees in the Leeds office. Lyndsay Mair and Rory Budworth recently took up two-year training contracts as they work towards qualifying as solicitors. Lyndsay begins her training in the Commercial & Infrastructure team while Rory starts in Property. Michael Boyd, head of the Leeds office at Bevan Brittan, said: “We are very pleased that Judith has joined us. Someone of her calibre does not come along very often. Her arrival represents another step-change in the development of the Leeds office, taking the team here to eleven partners and extending our litigation capability.